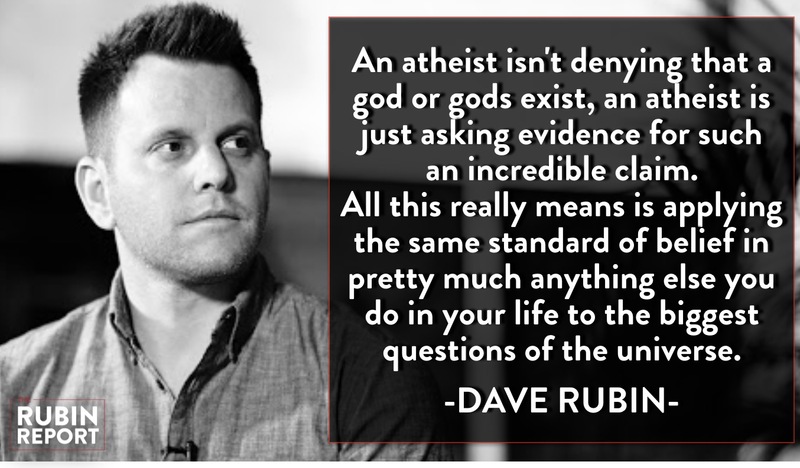 "An atheist isn't denying that a god or gods exist, an atheist is just asking evidence for such an incredible claim. All this really means is applying the same standard of belief in pretty much anything else you do in your life to the biggest questions of the universe." God, Jesus, Voldemort, Optimus Prime, Kylo Ren, Falcor, Donald Trump. What do they all have in common? They are all characters humans created to tell stories and answer big questions. Whether you believe these characters are real or not is up to you -- this is what having a belief means. There is no more evidence God exists or Jesus was his son than there is that Optimus Prime was a real talking transforming robot or Falcor helped Atreyu stop The Nothing in The Never Ending Story. Belief is the question here.A leap of faith is what makes man believe in ideas he would never accept if they were presented outside the realm of religion. If a friend told me Lebron James dunked from half court, meaning he jumped all the way from half court to slam the ball in the hoop with one jump, I would ask for evidence of this claim. If my brother told me that he could turn water into beer, I would demand he do it in front of me, not just drink some watered down Bud Light he gave me and take his word for it. Yet for some reason, Jesus walking on water, or Moses talking to a burning bush, or Mohammed riding a winged horse to heaven are things we are supposed to take on faith. If I told you right now, with all the cred I've gained from you guys, I rode a winged horse to the studio today, you'd say I was totally bonkers. And you'd be right, because the truth is I rode in on Falcor, who is a winged luck dragon. This brings me to atheism. The best definition I've found for atheism is it is not a denial of gods; it is a lack of belief in gods. This is an incredibly important distinction to make. An atheist isn't denying that a god or gods exist, an atheist is just asking evidence for such an incredible claim. All this really means is applying the same standard of belief in pretty much anything else you do in your life to the biggest questions of the universe. You don't just believe magical pictures come out of your TV -- scientists and engineers created the correct conditions for your TV to exist. You believe your TV is there and does what it does because of the evidence right in front of you. You don't just believe the audio coming out of your iPhone is magical Apple elves living inside, singing. You know that you downloaded the entire soundtrack to Dreamgirls and sing to it in your room every night. It didn't just magically appear there. The point here is that believing in something without evidence is up to you, but it shouldn't trump anyone else's belief in things that are empirically provable. If you find comfort in believing in god, or gods, or a spaghetti monster or whatever else, then that's fine as long as you don't push your beliefs on or kill people who believe in something else. Again, all the atheist is saying is, 'I don't believe without evidence.' It reminds me of this quote by the great Carl Sagan, "Extraordinary claims require extraordinary evidence." Hearing that a guy talked to a burning bush doesn't prove anything other than he might be crazy or took some really great magic mushrooms. If he can prove it, well then we're got a whole other discussion to have. Interestingly, many polls show atheists are still one of the least trusted or liked groups in America. While there are signs this is changing, there is still a ton of work to be done. The atheists I know are generally the most open, liberal, decent folks out there. 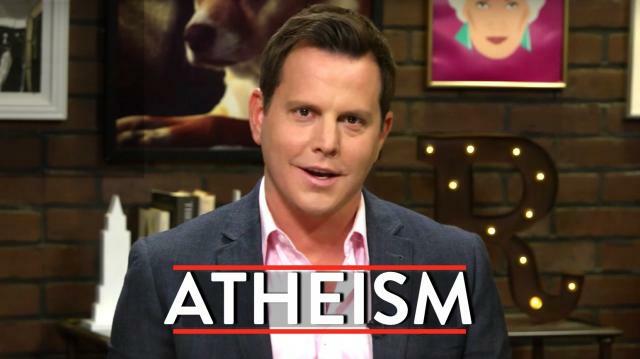 I know there is a push, mainly on the left, to demonize atheists as Islamophobes or neocons, but this is really just nonsense.A phobia is an irrational fear of something.It is not irrational to fear a set of ideas which would have you killed as a non believer.Atheism isn't a political ideology. Once again, it's just a lack of belief. Atheists come in all colors, sexualities and nationalities. Actually, atheism is a great take down of the barriers that often divide us as people. If we can start at a point in not believing in ideas until they are proven to be true, then we can start having real conversations about how to live as people and make our world better. This isn't to say, at least from my view, that all religion and belief is bad. Millions of people have their beliefs and charity work, care for the less fortunate or help the needy in the name of their religion. Could they do these things without religion? I think so, but if that helps them get there, then great.But when your beliefs impede on other people lives, I have a problem with religion. My guests this week are two non-believers, but as far as I can tell two pretty decent human beings. David Silverman is the president of the American Atheists and Paul Provenza is a comedian, director and outspoken atheist. We're going to discuss the good the bad and the ugly about both religion and atheism itself. Now if you've excuse me, I'm going to ride a unicorn to shangri-la where I'm playing bingo with Frank Sinatra and Frodo Baggins.